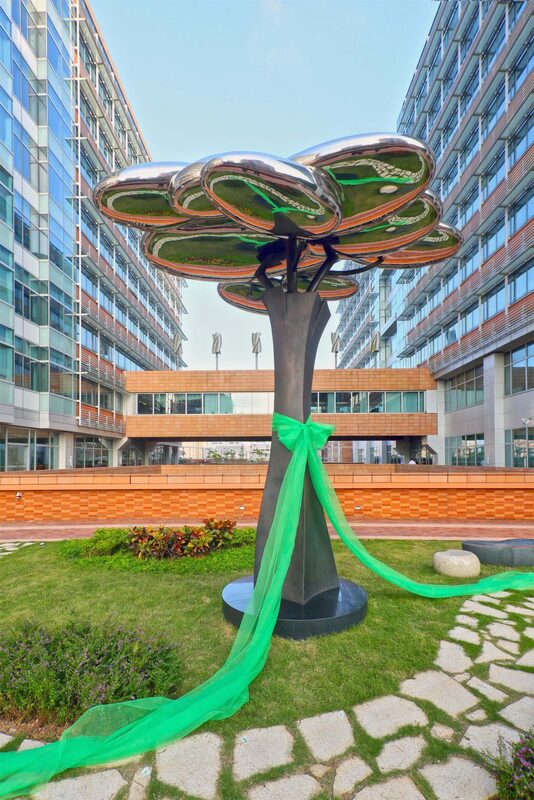 Danny Lee Chin-fai’s artwork “Universe”, commissioned by Hong Kong Arts Centre and Public Art Hong Kong, and created for HKU centennial campus, was unveiled on 27 October 2016. 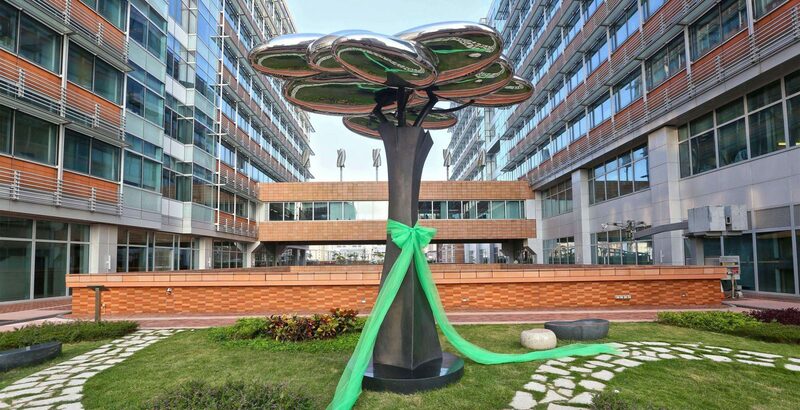 Based on the concept of Chinese landscape ink painting, the artwork uses a western way of sculpture making to symbolize the characteristic of “East x West” of the HKU, while its image of tree symbolizes “growth”. An abstract form of sculpture is created with the top part illustrating clouds and bottom part representing mountains. 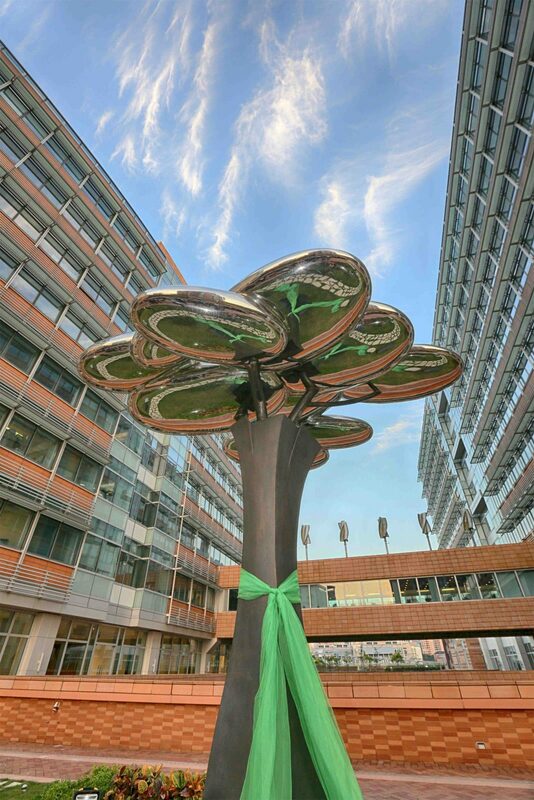 Natural landscape would be reflected by the sculpture, capturing every passer-by into the impressive scenery. The use of smooth materials further strengthens the echo and interaction of cloud and water; nature and human beings. Danny Lee is a renowned local sculptor. His works have been exhibited locally and internationally, and attracted numerous public art commissions, including the sculpture for Hong Kong Olympic Equestrian Venue and Nam Cheong MTR Station, etc. His works are widely collected by individuals and groups including the Hong Kong Museum of Art, the Hong Kong Heritage Museum, Housing Department, Airport Authority Hong Kong and Hospital Authority, etc.